Welcome to this Recyclus.com website. You will find here many solutions that are proof for an inspiring third Millennium. In the next few years, fundamental changes will occur. We are dedicated to a healthy environment and our focus is on cyclic processes based on natural laws. This brings the kind of activities that you will find throughout this website. 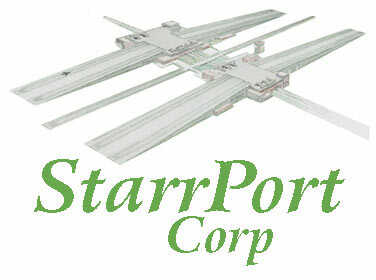 As one of our international activities, we promote the American inventor Jim Starry, who has developed an environmentally-friendlier airport StarrPort. This 'humane airport' together with his many other inventions, will (in his own words) clean the air, the water and the land in less than ten years. This seems at first a strong statement, but a Credentials section is added to give some relevancy and insider information. While many of Jim Starry's designs are immediately understandable even (or should we say: especially?!) for children, the ones who decide on implementing them seem challenged to think outside the boxes. The desperate situation of the environment may allow the decision committees to step over their (previous) reservations. When the likes of Al Gore, Richard Branson, Bill Clinton, Jimmy Carter, and even somewhat questionable tycoons like Bill Gates and Rupert Murdoch - !) plus a growing number of more or less influential persons really take action to better the environmental conditions - this could ease the necessary consciousness shift. Solutions are everywhere, it is imperative to develop and apply them. Jim Starry presents the StarrPort personally. Choose between a free 2 minutes introduction video here or see the full 8:36 minutes at http://lifeandlove.tv/video.cfm/cid/2001/vid/1031/ - (login necessary, a $ 9,- once-in-a-lifetime contribution gives access to almost 200 lifestyle quality videos). This Congress reveals innovative, smart technology solutions for Air, Water and Earth (AWE). The inspiring work of the American eco-inventor Jim Starry (on this website extensively covered) is presented for the first time exclusively in the Netherlands. His contributions will be enhanced and complemented by top experts. Breakout sessions invite everyone for personal input and inspirational co-creation. The programme will conclude with a prize draw for the most accessible, practical and affordable ideas from those present.